Whether you are looking for access to more products, back-end office support, competitive economics, or you just need a strong reliable partner to help you during these uncertain times in our industry, we can help. If you’re looking to exit your business, we literally wrote the book on mergers and acquisitions in our industry. 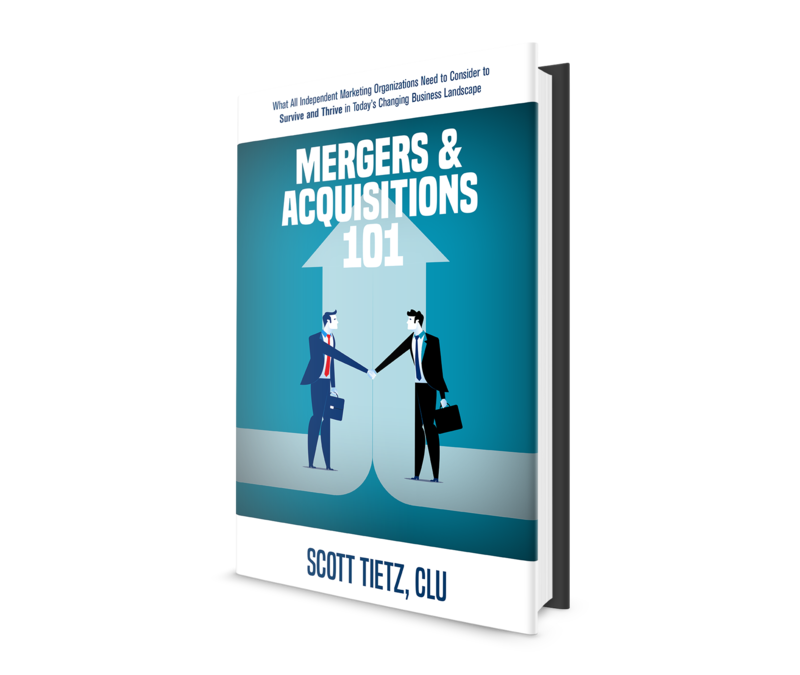 Complete the form to receive a complimentary copy of the book, Mergers & Acquisitions 101: What All Independent Marketing Organizations Need to Consider to Survive and Thrive in Today's Changing Business Landscape by Scott Tietz, CLU.